Where can you stream Nightflyers? 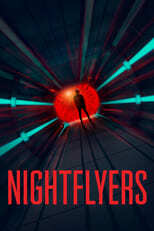 On 2018-12-02 Sci-Fi & Fantasy TV Series Nightflyers first aired on Syfy. Written and created by Jeff Buhler, and produced by Universal Cable Productions & Netflix, .